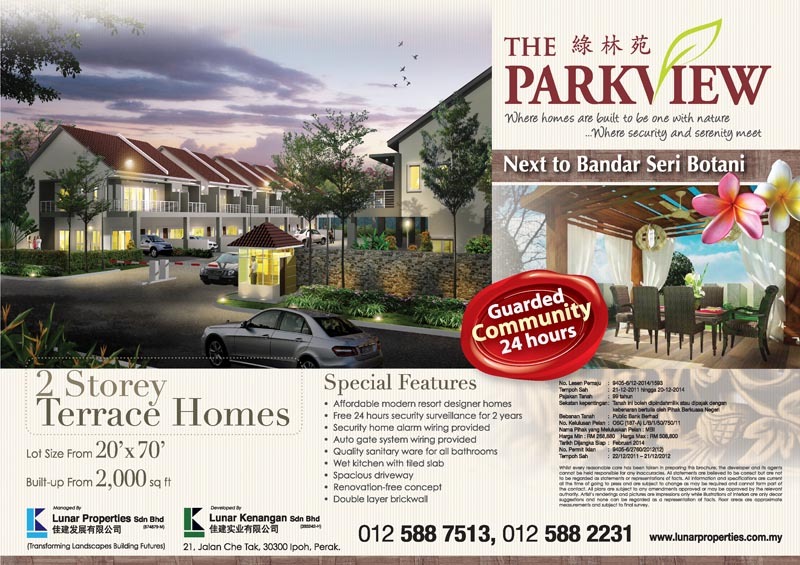 Local developer Lunar Properties Sdn Bhd’s latest offering The Parkview is definitely a project worth considering either for investment or as a residence. Lunar Properties Sdn Bhd’s executive director Vivienne Ooi said since its launching three months ago, 50 per cent of the 132 units double-storey link houses have been snapped up. “Our buyers are attracted by the project’s location, which is near Jalan Raja Dr Nazrin Shah (formerly known as Jalan Gopeng) and the Simpang Pulai toll,” she said, adding that investing in The Parkview would be ideal as it was competitively priced compared to other projects nearby. “Most of our purchasers are from Kuala Lumpur or Cameron Highlands, who want their children to pursue their further education in Ipoh,” she said, pointing out there was an independent secondary school near The Parkview thus increasing the project’s marketability. “For those who believe in feng shui, it will be interesting to point out that The Parkview is located on higher ground,” she said. Among the special features of The Parkview are 24 hours security surveillance, wiring for home alarm and auto gate, wet kitchen with tiled slab and a spacious driveway, which can accommodate two cars. “Our projects also come with (a) double thickness fireproof wall,” she said, adding that purchasers are assured of a renovation-free concept. The Parkview is not Lunar Properties’ new project in the area. “This is actually our fourth project after Desa Parkview, Parkview Parade and Parkview Sanctuary,” she explained. 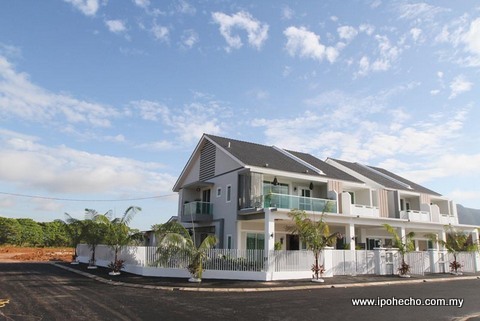 Priced between RM268,880 and RM506,800, the showhouse is open daily including public holidays from 10am to 7pm. There is also a sales office located opposite Shen Jai High School. For details, surf its website at www.lunarproperties.com.my or call them at 05‑2421288/2556288/2414781.